Whether you are hosting Passover for four or forty, one night or two, you want your table to be as perfect as the brisket. 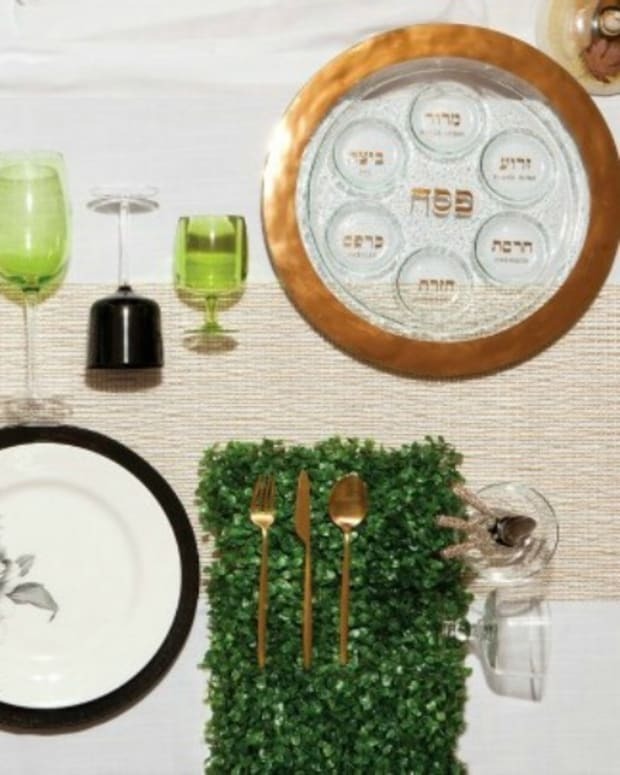 Here are some tips on how to set a Passover Seder Table with memorable details. 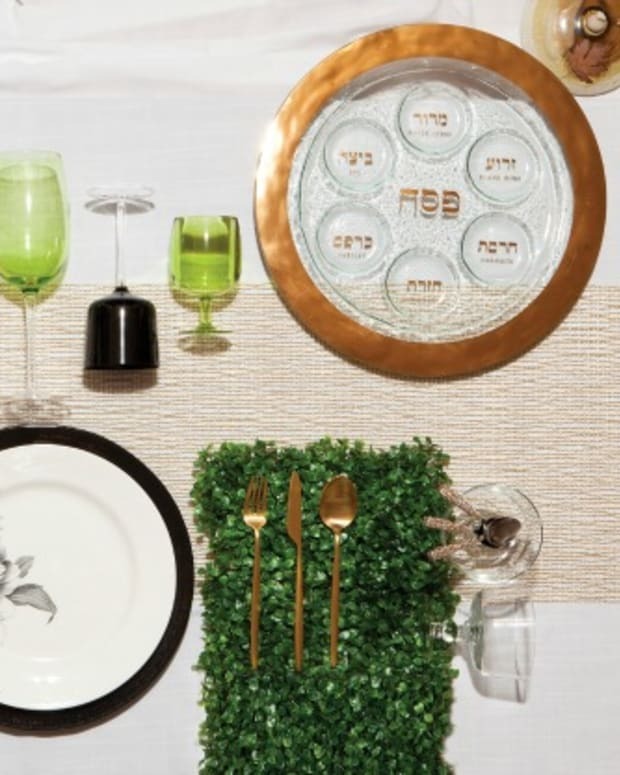 It all starts with the Marble Passover Seder Set, from placemats to place cards your gorgeous table will be easy to create. 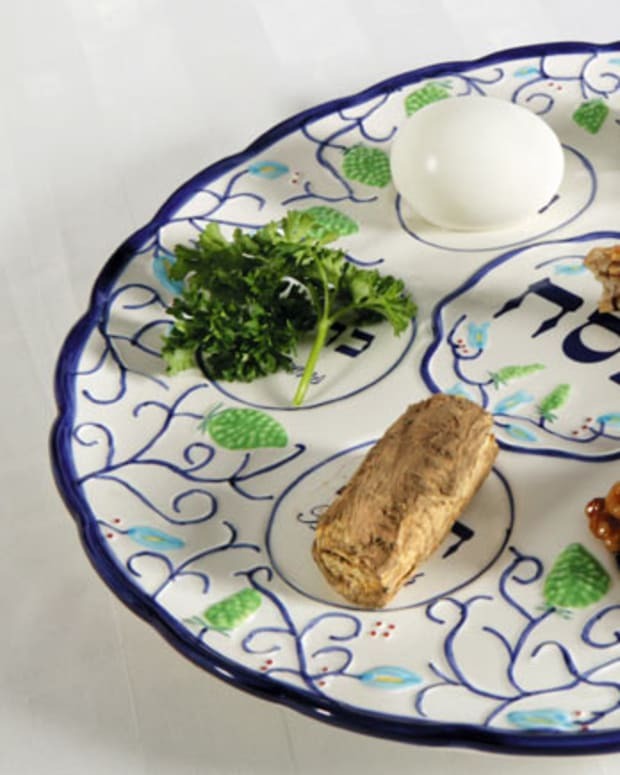 Your seder plate is the center of the table, including the symbolic elements (shank bone, egg, bitter herbs, karpas, charoset and hazeret.) 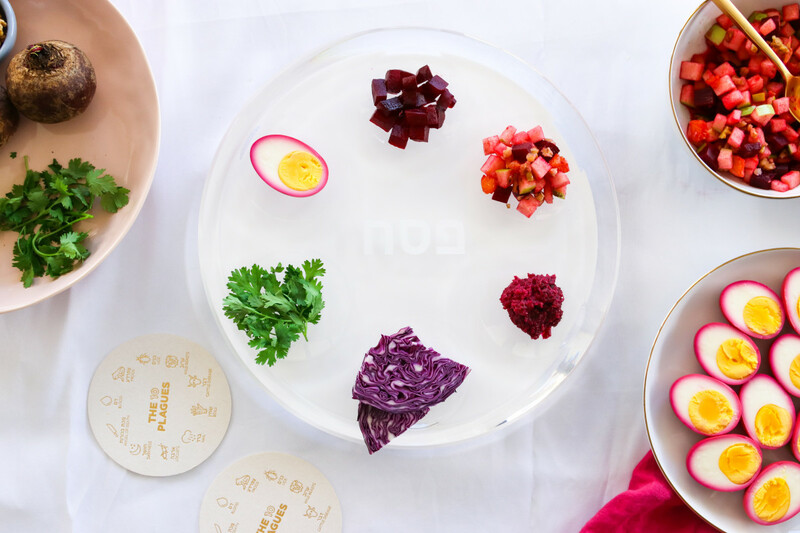 Whether your seder plate is simple, like the acrylic one pictured, or colorful, pick one that goes with your aesthetic and budget that you will love using for years to come. 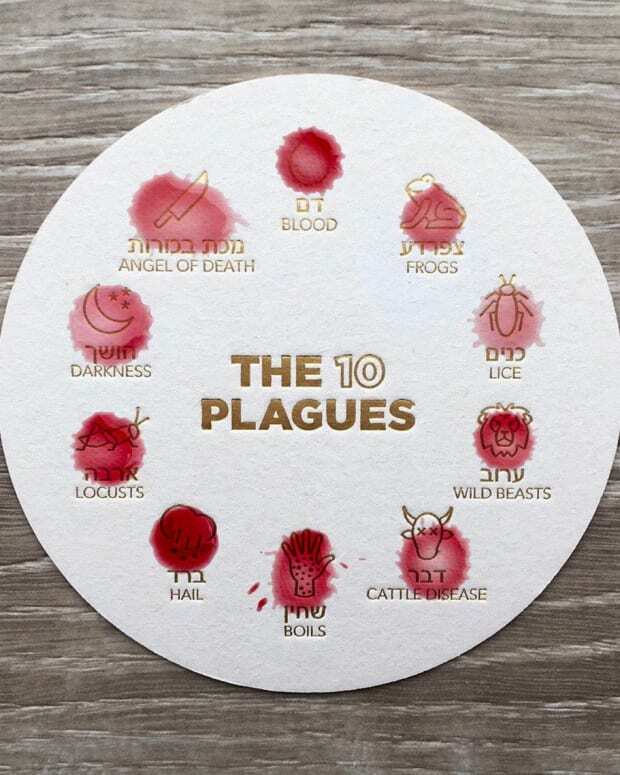 Add these Ten Plagues Coasters for extra decorative elements that everyone will learn from. Place three matzos in a matzo bag, the middle one becomes the afikomen! Get your matching covers. Picking a color scheme can help your look fall into place. Make sure to have an appetizer plate for Hillel’s sandwich and gefilte fish, as well as bowls ready for matzo ball soup! 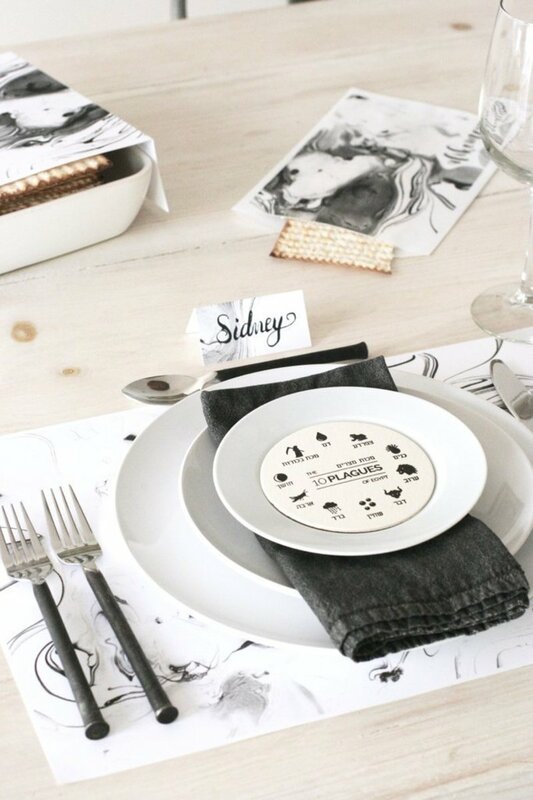 Place cards add a personal touch and take the guesswork out of where to sit. Add a frog to each card corner or other decorative element to go with the color scheme. Make sure to have enough Haggadahs for each guest so everyone can be on the same page. And don’t forget an empty wine glass for Elijah! 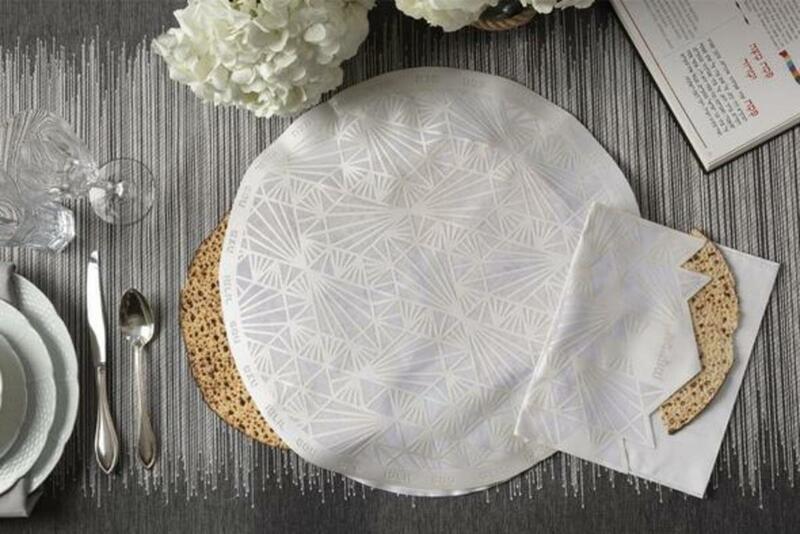 Spread salt water, charoset bowls, (and wine) around the table so everyone can access them easily. The leader is supposed to recline during the seder. 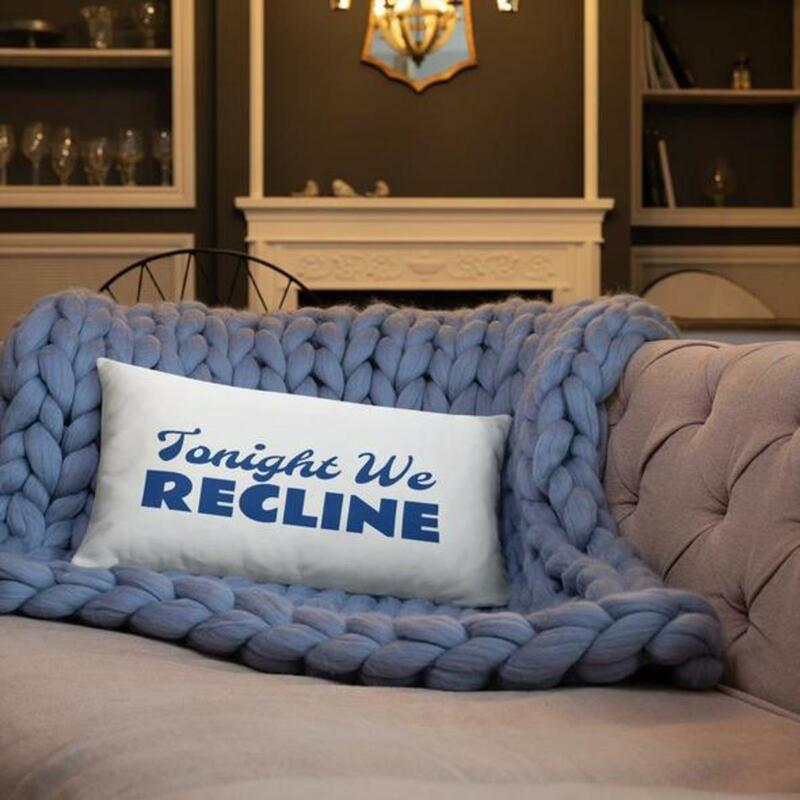 What about making his life even more relaxing with a Passover pillow? Elements like these add your personal touch. 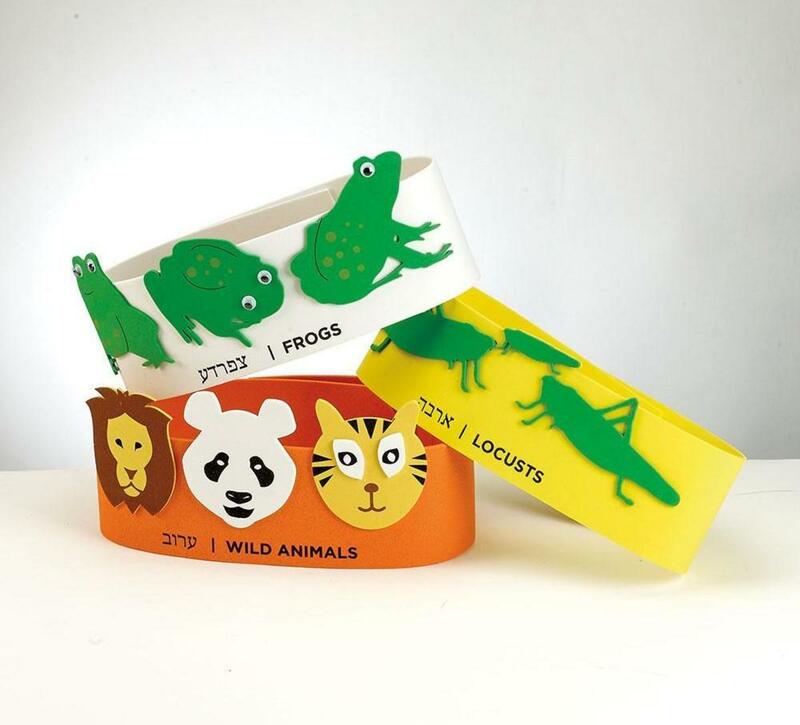 10 plague headbands or 10 plagues masks are fun table additions for kids (or kids at heart). 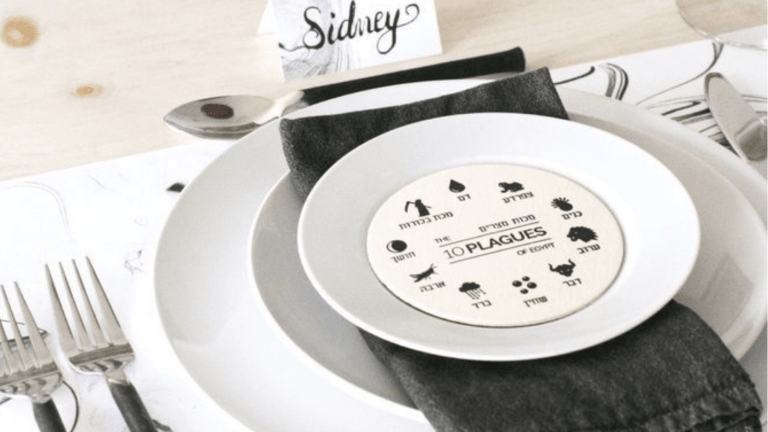 Get creative with the place settings, maybe 10 plagues coasters at each place setting or a simple sprig of parsley adds a spring touch. 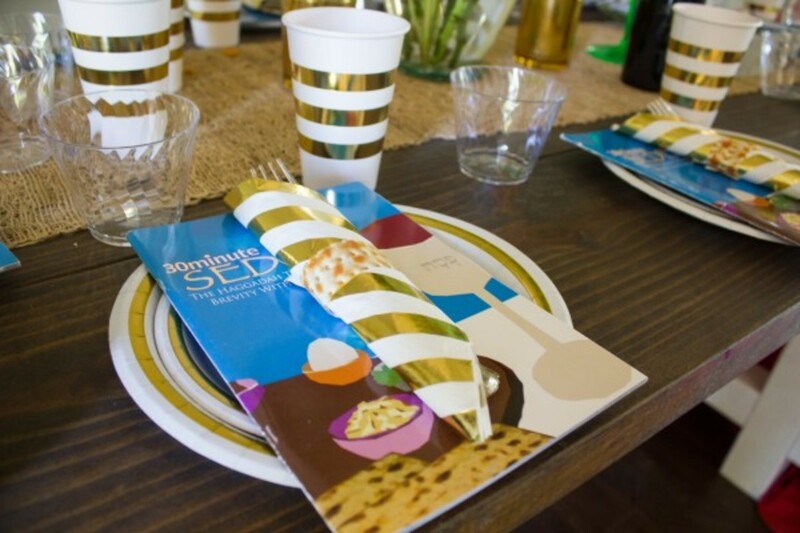 One easy idea is to print out matzo print paper, laminate it if you like, and turn it into napkin rings! 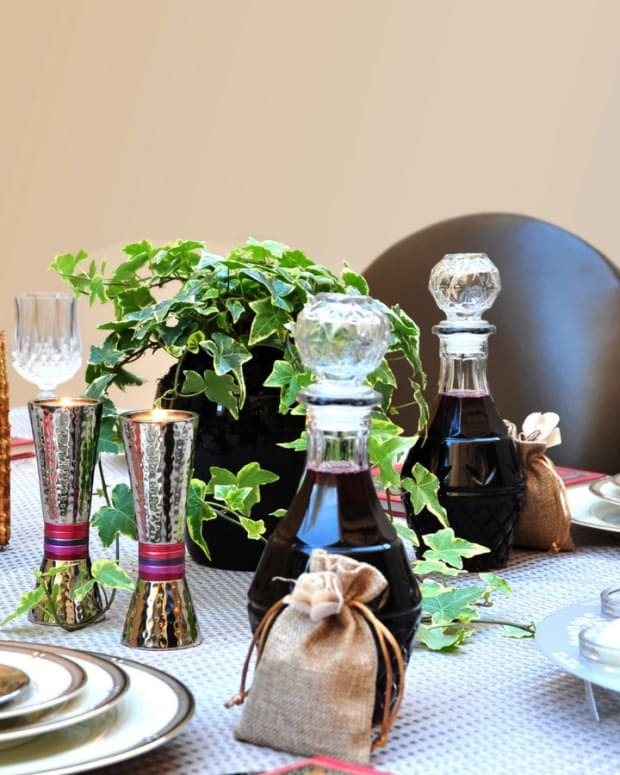 A unique touch that your guests will remember.